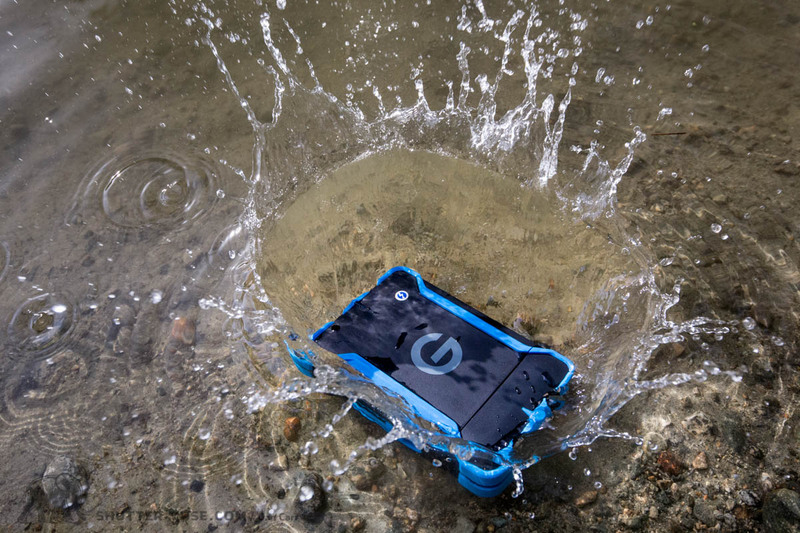 A “rugged” drive is one that has been designed to withstand bumps and drops, as well as offering at least some protection from water, whether it be basic splash resistance or full on submersion. 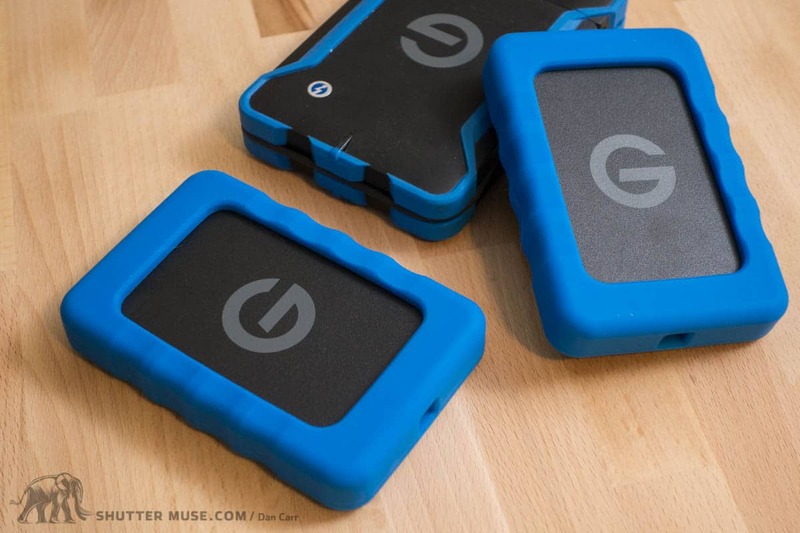 Most major drive manufacturers offer some type of ruggedized drive and some, like LaCie and G-Technology, offer a huge range of them. In this article I’m going to explain why I think all photographers should be using rugged drives when they travel, discussing the choice between SSD and HDD and making my recommendations for the best rugged hard drives on the market for photographers in 2018… so far. Why Choose a Rugged Drive? Rugged drives are always a little bit more expensive than regular drives, but to me the small added cost is well worth it when you consider both the cost of the equipment you are shooting with, and also the value of the images that the drive will be storing. 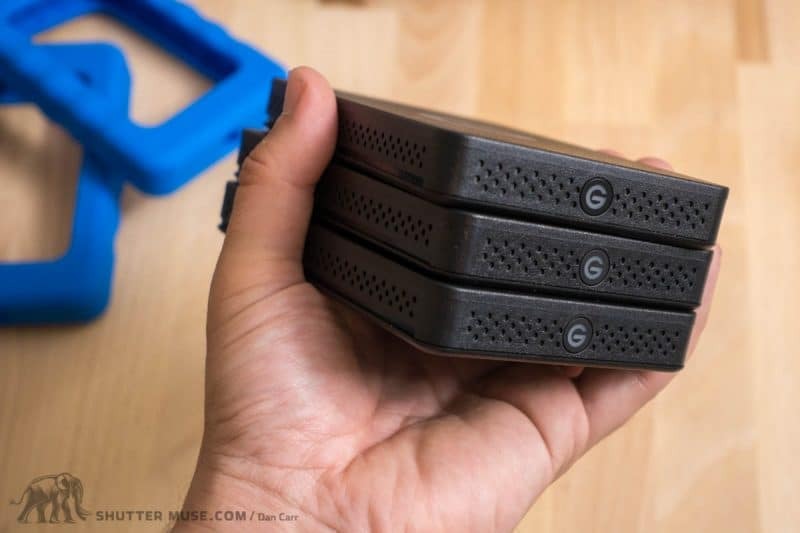 One of these drives can store hundreds of thousands of photos but the additional cost to move up to a rugged drive like these one, from a more standard one, is usually only a tiny fraction of the cost of your camera. 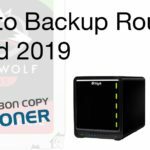 In fact, if budget is a huge concern to you, there’s a couple of rugged drives in this guide that are no more expensive than most standard drives. There’s really no excuse not to be giving your photos more protection! If you’re in a hurry and need a quick solution, you can’t go wrong with the LaCie Rugged USB-C drive. I have been using LaCie’s Rugged drives professionally for over a decade and never had a single failure. The new USB-C version comes with both USB-C and USB-A cables so it’ll work with old and new laptops. With a few exceptions these can be a little more expensive than basic portable drives, but that doesn’t mean they are unattainable – far from it. To demonstrate this I thought we should look at some example pricing that was gathered at the time of writing this article. What I want you to focus on here is the price difference, not the actual price. The differential hasn’t changed all that much over the years, but drive pricing itself has. These prices are correct at the time of publishing, but depending on when you’re reading this they might not be. So, remember, it’s the differential we’re interested in. Example 1. A portable 1TB 7200rpm G-Technology USB3 drive is selling for $65 form B&H at the moment. 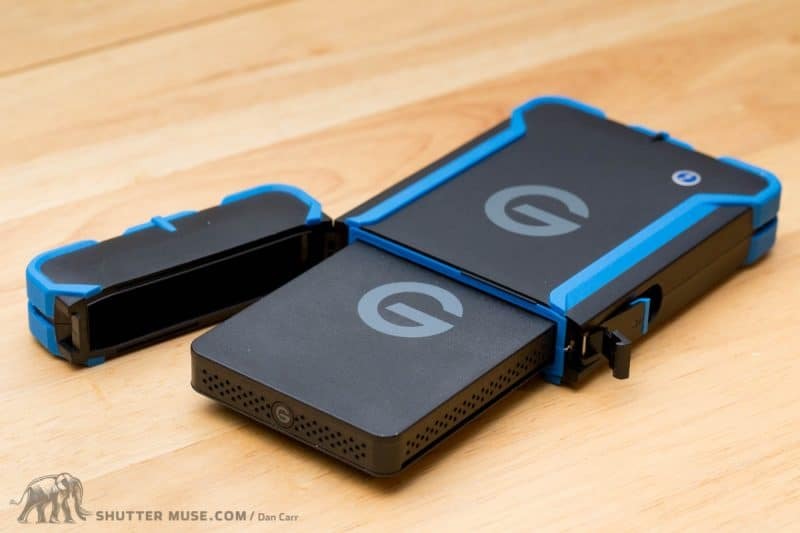 A rugged portable 1TB 7200rpm G-Technology USB-3 drive is selling for $89. That’s only a $24 difference! 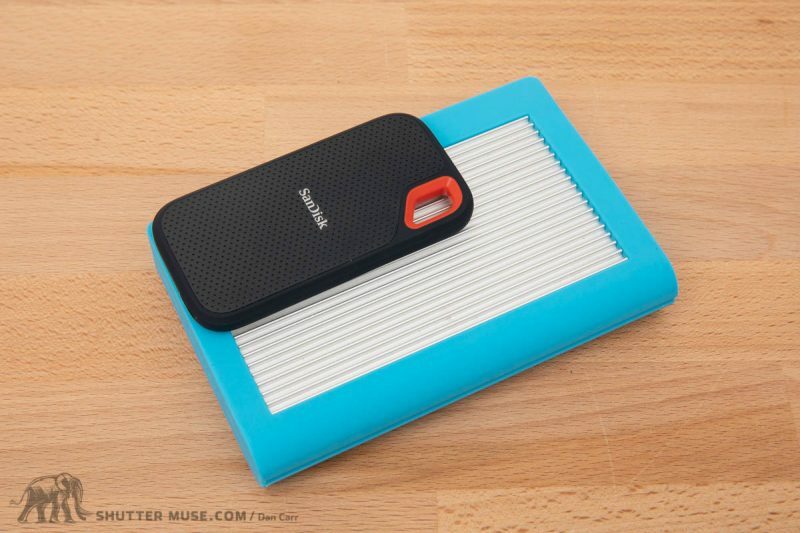 For an additional $24, you can give yourself some extra protection for about 25,000 photos. Based on average file size of 35mb, which is actually very generous. Most would find they can fit twice that number of photos. Example 2. A portable 2TB Seagate USB drive is currently selling for $75 at B&H Photo. 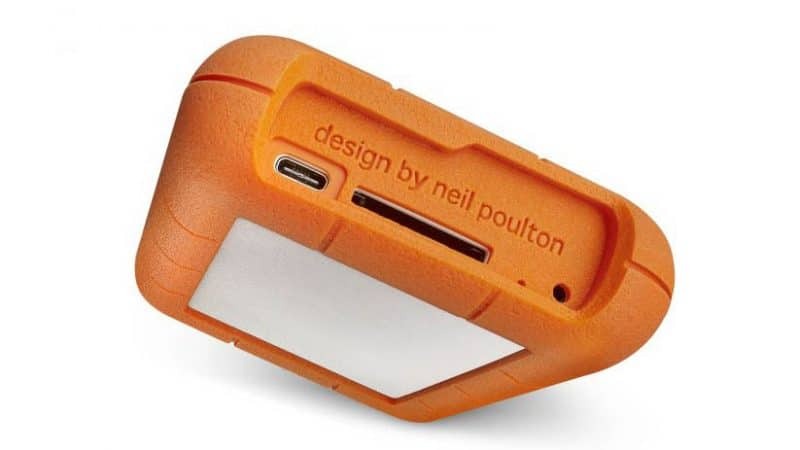 A portable 2TB LaCie Rugged USB-C drive is currently selling for $110 at B&H Photo. That’s a $35 difference in price, and the LaCie drive actually has the much newer USB-C connection type which will be more practical in the long run. A $35 step up in price to better protect 2 terabytes of photos?! Yeah, you bet I’m going to take that every time! 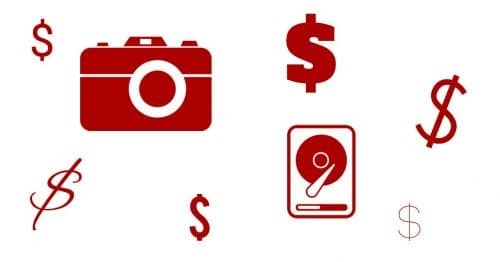 A trip to my local Chinese takeout would cost me more than $35, so this is definitely a cost that can be factored into people’s budgets if they plan their photo storage costs out correctly. Example 3. 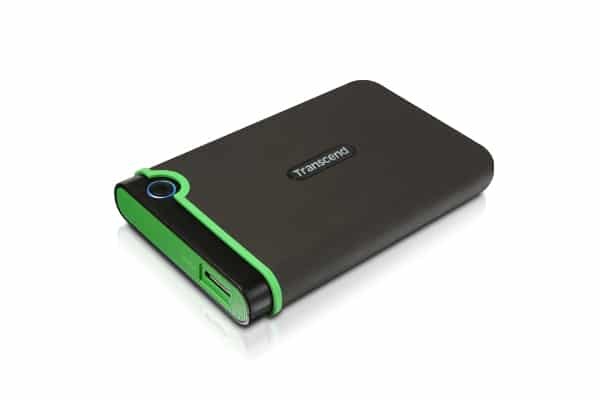 The Transcend StoreJet MC25 1TB is currently available for $62 from B&H Photo. This drive has military-grade shock resistance and a drive suspension system, as well as using the latest USB-C interface. It’s actually cheaper than many standard non-rugged drive solutions. 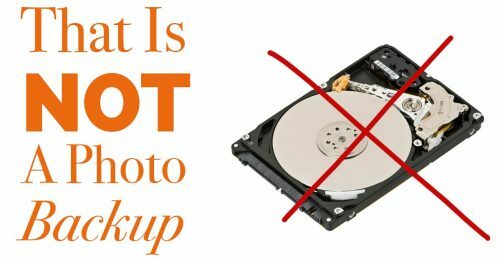 Hard disks have a fragile spinning disk platter in them and other moving mechanical parts, whereas solid state drives are essentially just chips and circuit boards. This makes HDDs much more fragile, but it doesn’t mean SSDs are infallible – I’ve experienced SSD failures myself. A solid state drive in a bare-bones drive enclosure should not be treated as “rugged” and thrown around without a care. SSDs still come in rugged formats just as HDDs do, so the ultimate protection for your data would be a ruggedized SSD. Although the price of rugged SSDs has dropped drastically in recent months with the launch of the Sandisk Extreme Portable drives, I would still call SSDs a storage solution for professionals. 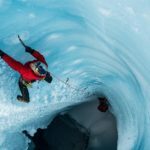 The cheapest are 3-5x the price of a hard drive, so they’re only really worth considering if you see major value in speeding up your daily photo editing workflow. Most amateur and enthusiast photographers are going to be happy with a regular rugged hard drive for their more occasional photo storage needs. I myself have only just transitioned a couple of external drives to SSD, and my primary travel drive is still a 5TB LaCie Rugged HDD because I value the huge amount of storage space it gives me compared to a smaller, faster SSD. The exception to this rule would be enthusiasts who are shooting a lot of 4K video and then editing that footage directly off the drive. If that’s the case, the added speed of a solid state drive will make a huge difference to editing performance, rendering performance and export speeds. Even a small 250GB or 500GB SSD would be a useful solution to anyone needing a portable working drive for 4K editing, professional or not. Throughout my photographic career there has never been a time when I haven’t had at least one LaCie Rugged drive in my laptop bag. My very first one was USB1, then I had a Firewire drive (remember those? ), then I moved on to USB2, then Thunderbolt 1/2 and now I have a couple that use USB-C and can also connect to a Thunderbolt 3 port. In all those years I haven’t had a single drive failure amongst them, and before I retired them to the great scrapheap in the sky, the first ones I had were so worn and dented that you’d be forgiven for thinking I was a war photographer. 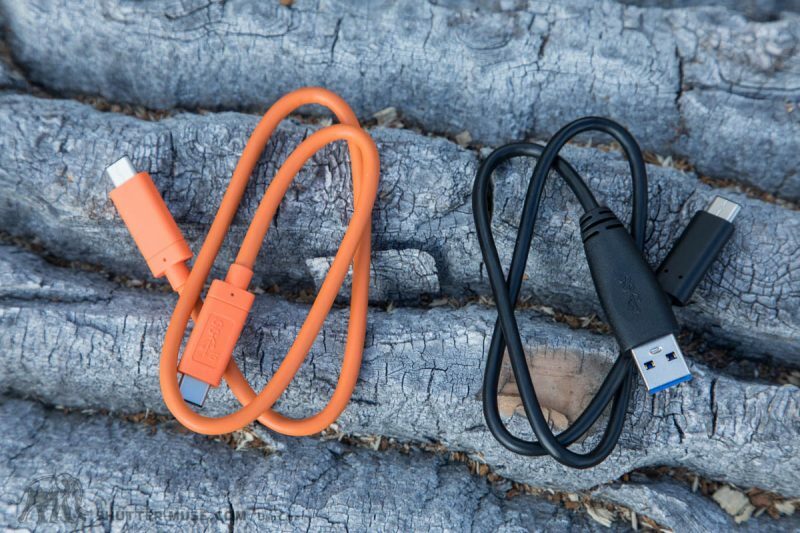 The Rugged USB-C is available in a variety of sizes up to 5TB and comes with both a USB-C to USB-C cable, and a USB-C to USB-A cable. This means that you can plug into any computer with a USB port, and you can also connect to the Thunderbolt 3 ports on a new MacBook. It’s also bus powered so you don’t need to lug a power supply around with you. The drive comes with a pair of cables to allow connection to USB-C or USB-A. 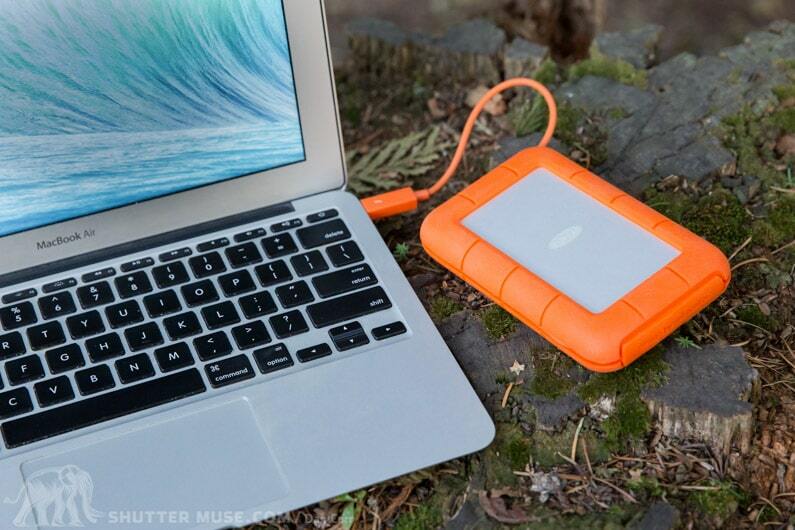 The famous orange bumper on the LaCie Rugged drives isn’t just for show. Despite containing relatively fragile hard disks, they are rated to a 4ft drop on a hard surface. In other words, if you knock this off your desk, it’s not going to be a problem. In fact, with a 1-ton crush crush rating for the aluminum body, you could knock it off your desk and then drive over it with your car. Not a practical test to perform, but you get the idea. In terms of speed, LaCie claim a maximum of 130MB/s which is pretty standard for portable drives of this size. In practice, my testing of the drive showed it to be capable of a little more speed, producing test results of 132MB/s write speed and 135MB/s read speed. The Rugged Thunderbolt USB-C drive is slightly larger than the Rugged USB-C drive. It still has a type-C USB interface on the back of it, but it also has a built-in Thunderbolt 2 cable that wraps around the drive for storage. This is definitely a handy feature as it gives you one less thing to pack when you’re loading up your kit to hit the road. Of course if you only plan on using a USB-C connection, you might as well just get the USB-C only version of the drive that was first on the list, but if you need Thunderbolt as well then this gives you some choices. Whilst all newer Macbooks and Macbook Pros are shipping with Thunderbolt 3 connections, you can use the Apple Thunderbolt adapter to convert this if you need to. One other difference is that the Thunderbolt version of this drive is IP54 rated for water ingress, which is slightly better than the “rain” protection of the USB-C version. 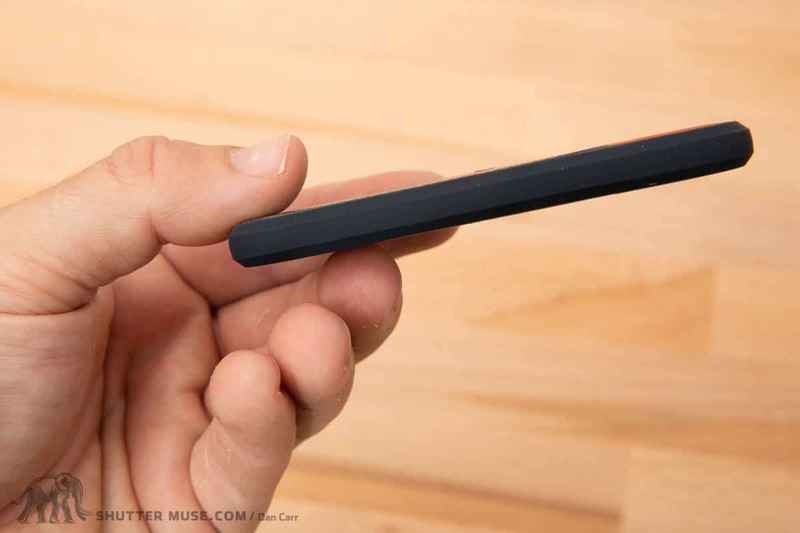 The reason for this is that the USB-C version has an open type-c port on the back of the drive, but the Thunderbolt version comes with a rubber cover that encloses the rear port (see photo below). I don’t think this will make a huge difference to how people use the drive, but it’s worth pointing out. Just like the USB-C only version, the Thunderbolt version is currently available in sizes up to 5TB. Unlike the USB-C version though, the Thunderbolt version is also available with a 500GB or a 1TB SSD inside it. LaCie claim the drive will max out at 130MB/s, but in my testing I actually found it to be faster than that. I was able to regularly achieve 136MB/s write speed and a 139MB/s read speed when tested with AJA. The Rugged RAID Pro features a type-c USB connection and a built-in SD card reader! 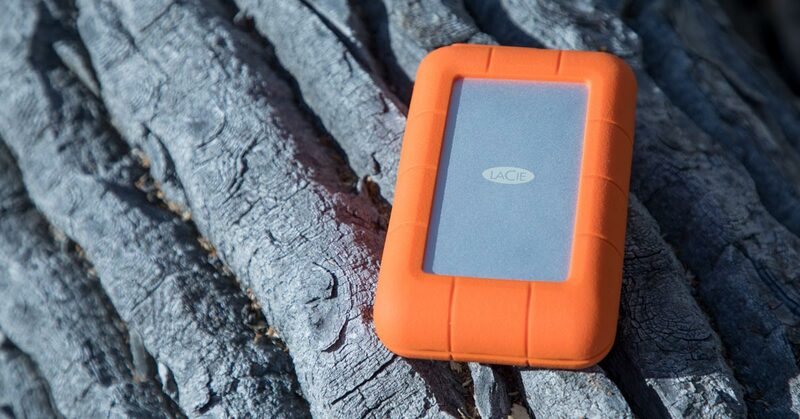 As fas as I know, LaCie is the only company that’s making portable bus-powered, ruggedized RAID drives. I have been using a Rugged RAID for many years now and I absolutely love it. Configured in RAID1 mode the drive mirrors data across both of its internal drives to give you some protection from hardware failure, although remember RAID is not a backup in and of itself. In RAID0 mode, the drives are striped together to double the read and write speeds that would be available from an enclosure with a single drive. Whilst this doesn’t move the Rugged RAID into SSD speed territory, it doesn’t get too far off it. This extra speed makes a noticeable difference when working with large files on the road. 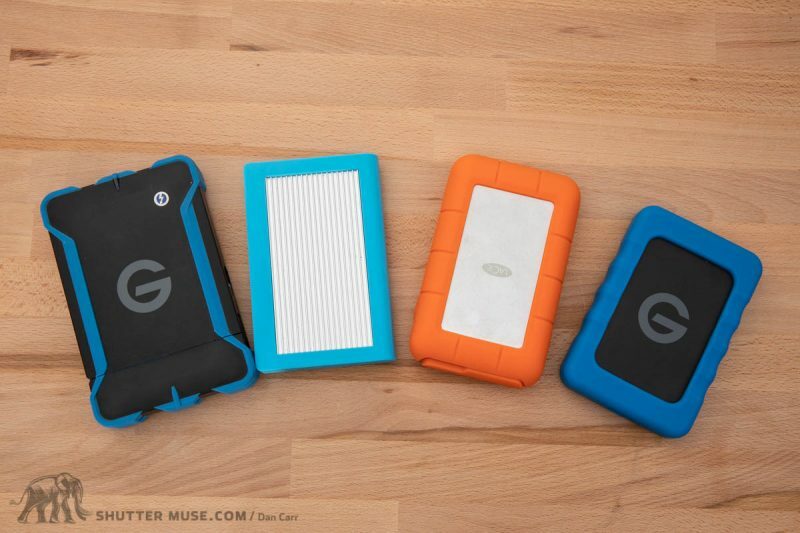 Currently LaCie offer both a Rugged RAID and a Rugged RAID Pro that are both the same price. The Pro version uses a USB-C interface that’s compatible with Thunderbolt 3, and has an integrated UHS-II SD card reader. 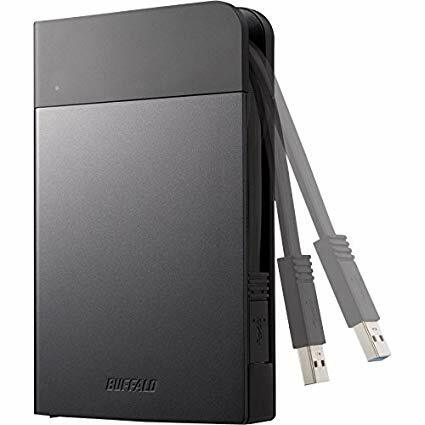 The regular non-Pro version of the Rugged RAID is a little older, and it has a built-in Thunderbolt 2 cable and a USB 3 Micro-B connector. Both of the drives are the same speed, so your choice will simply come down to the connection type that’s available on your computer, and your desire to have that card reader. Compared to a regular Rugged drive it’s a bit of a price jump to get a Rugged RAID of an equivalent size, so make sure you really understand what the RAID will do for you and whether or not that’s worth the extra expense. I’ve had a few of these drives in past years and they have proved to be reliable and fast with a good 7200rpm drive speed. 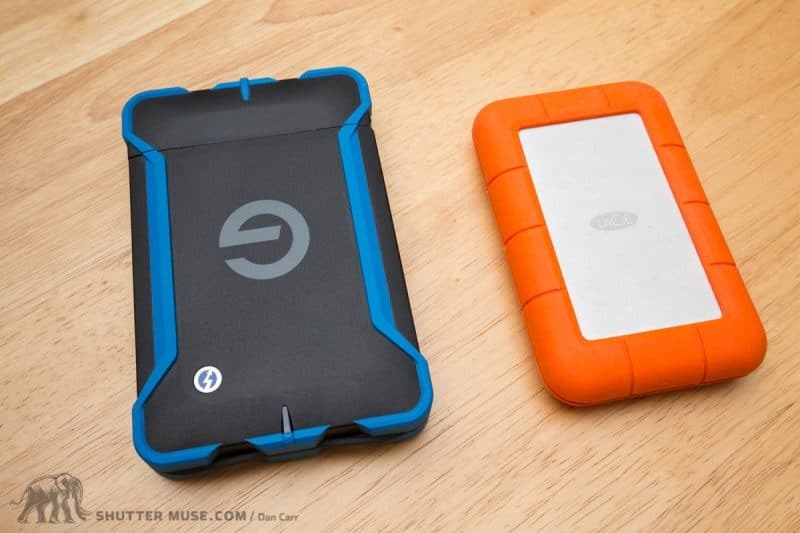 Compared side-by-side with an equivalent LaCie Rugged drive though, they clearly aren’t as tough – they feel a bit plasticky and hollow. G-Technology also make several other larger portable RAID boxes that have slots in them for the ev RaW drives. This means you can pop the drives out to take them with you on the road, and then slot them quickly back into your system when you return to your office. Or, you can simply use the slots to switch quickly between an array of ev RaW drives in your office, perhaps designating one ev drive for each client project you’re currently working on. There’s certainly some interesting workflow and organizational options with this setup. You can see the pair of ev RaW compatible slots inside this G-Speed Shuttle RAID box. Yep, I threw it in a pond. The ev ATC isn’t really a different drive to the above mentioned ev RaW, it’s simply a tougher case to put an ev RaW drive into. 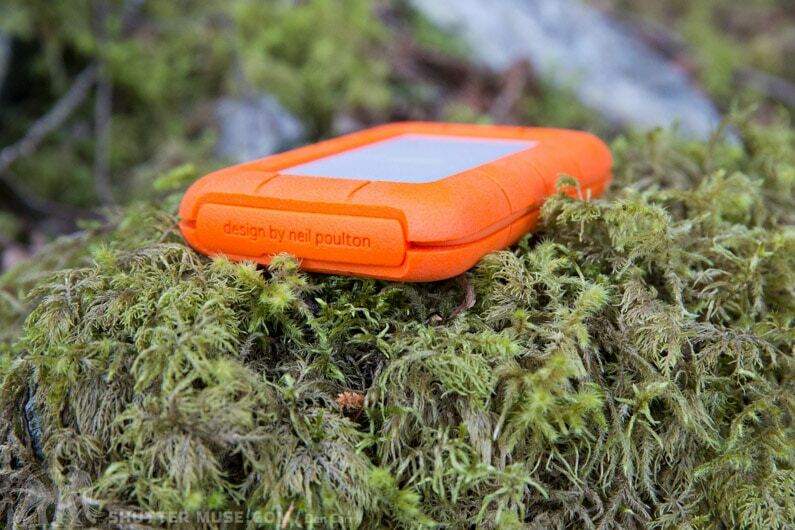 As I mentioned earlier, the ev RaW drives don’t feel as rugged as something like the LaCie Rugged series, so the option to beef them up will be appreciated by some people. You can buy the ATC case on its own if you already have some ev RaW drives, or you can buy the case with a drive in it already. In terms of ruggedness, the addition of the ATC case makes a huge difference to impact protection, and also adds some pretty serious water ingress protection. See above photo… the drive was A-ok afterwards. The downside to this system at the moment is that the ATC case is only available with a Thunderbotl 2 cable or a USB type-A cable. If you are using a newer Macbook then that forces you to use a dongle adapter of some type. It would be nice to see G-Technology update this line with a type-C USB cable. 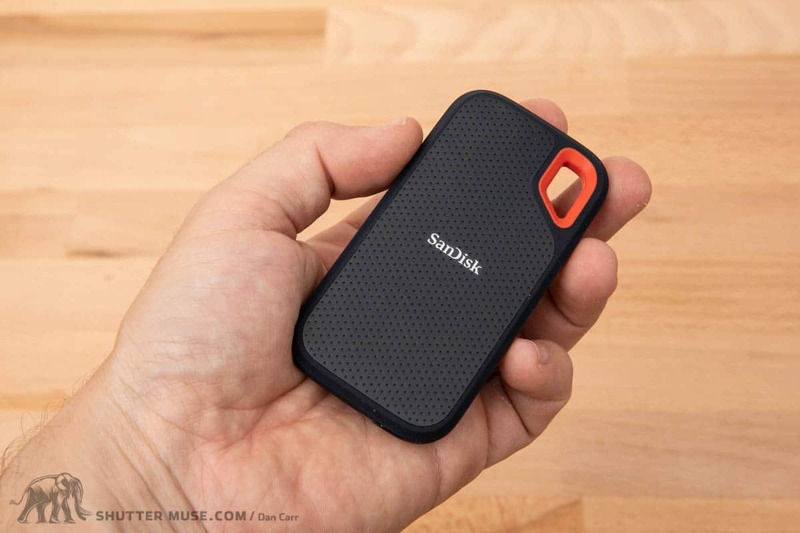 The Sandisk Extreme Portable SSD is truly tiny! Available in 256GB, 500GB, 1TB and 2TB sizes, the Extreme Portable SSD starts at under $100 and has a USB 3.1 type-C port. Being an SSD, the price per gigabyte is considerably higher than any of the rugged hard disks on the market, but if you need faster speeds for editing 4k video footage then they will deliver speeds up to 550MB/s, compared to about 130MB/s for a standard HDD. These drives are relatively new to the market, but they are incredibly impressive! Whilst the price will be prohibitive for some people, you can still store a lot of images on the smallest 256GB model. I also LOVE the tiny sizing of the drive, and the handy carabiner hole on it. This might not seem like a big deal, but it means that I can securely clip the drive into a pant pocket or camera bag pocket. This is nice for traveling because I usually like to keep one set of my images on me at all times, and a second copy back at my hotel. If my hotel room were to be robbed then I have that additional copy of the photo on me at all times. I’ve always done this with a drive when I travel, but it would be considerably more convenient with something this small. The Extreme Portable SSD therefore makes the a redundant travel backup plan much easier. 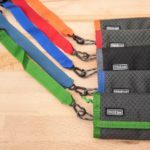 CalDigit is a smaller storage company that doesn’t get nearly as much love as I think they should do. A lot of their marketing attention seems to be focussed on the video production industry, but I have used a number of their drives over the years and always found them to be excellent. Also, being a smaller US-based company means that customer service is an absolute breeze to deal with compared to the larger behemoths like Seagate and Western Digital. CalDigit’s lineup of Tuff drives are IP57 rated, which means they actually protect against water ingress when submerged. Very impressive for such a small drive! You can literally drop this drive in a lake, take 30 minutes to find it and everything will be A-ok. I have tested this myself in a bucket of water and the drive was perfectly fine. As far as I know, there are no other rugged drives on the market that are IP57 rated. Of course you could put any drive into a small dry bag or Pelican case, but this rating definitely simplifies things for people who are really going to be out there with their data in particularly wet environments. 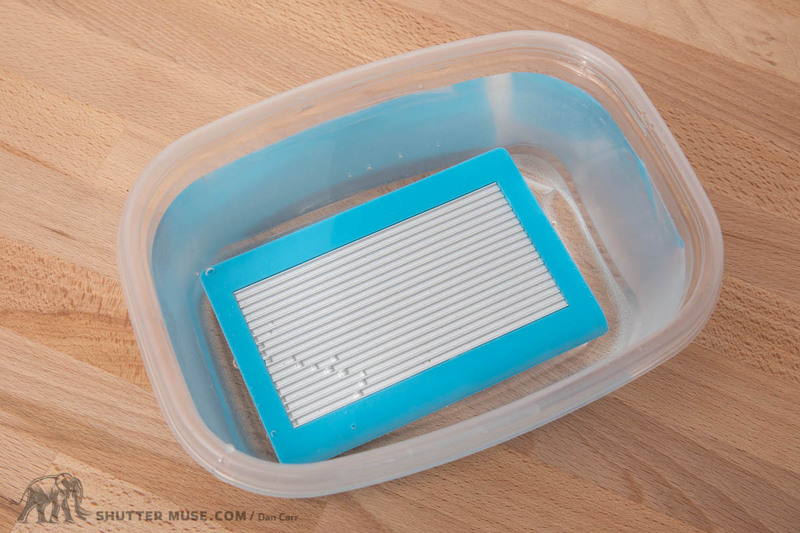 Not only do the Tuff drives inspire confidence in wet environments, but they also offer the most solid drive casing out of any of the drives I’ve discussed in this article. These are extremely solid feeling aluminum drive cases – a night and day difference to something like the plastic G-Tech ev RaW drives. 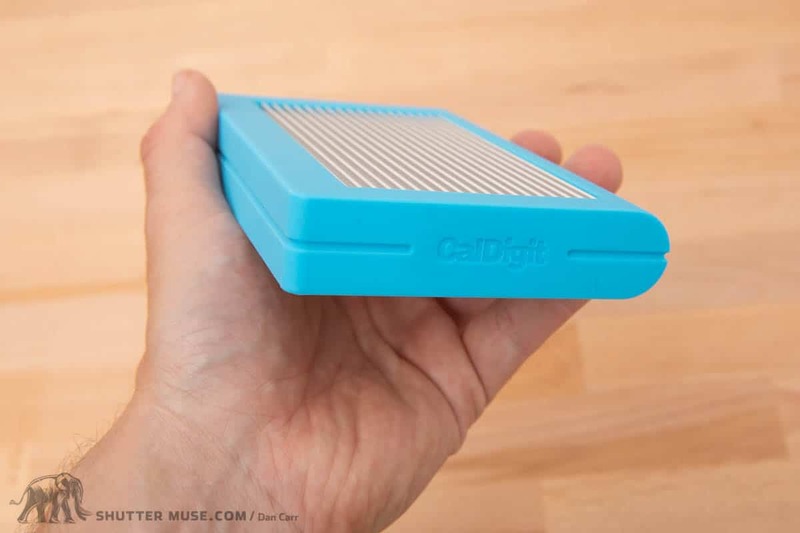 In my opinion, the CalDigit Tuff drives are the toughest ones on the market. I generally recommend using rugged drives to help protect against every day accidents, such as dropping a drive on a hard floor. 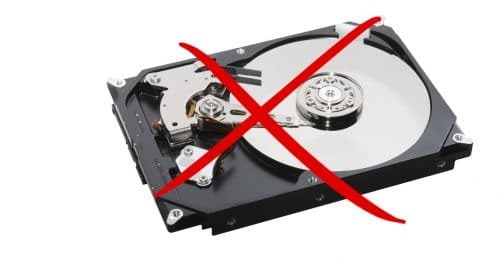 I would recommend using the CalDigit Tuff drives for that too, but I’d recommend them even more strongly if you know that your drive is going to be subjected to knocks, bangs, dings, drops and/or wet environments. There’s a lot to love about these Tuff drives and they even come with a Thunderbolt 3 compatible, USB 3.1 type-c connection. The downside however, is the price. Currently a 2TB Tuff drive is roughly $180, compared to $110 for a USB type-c LaCie Rugged drive. If I knew without question that my drive was going to be subjected to some serious abuse, I’d have no problem paying the price for the Tuff drive. If on the other hand it was more of a general safety net against accidents, it’s a harder thing to justify. 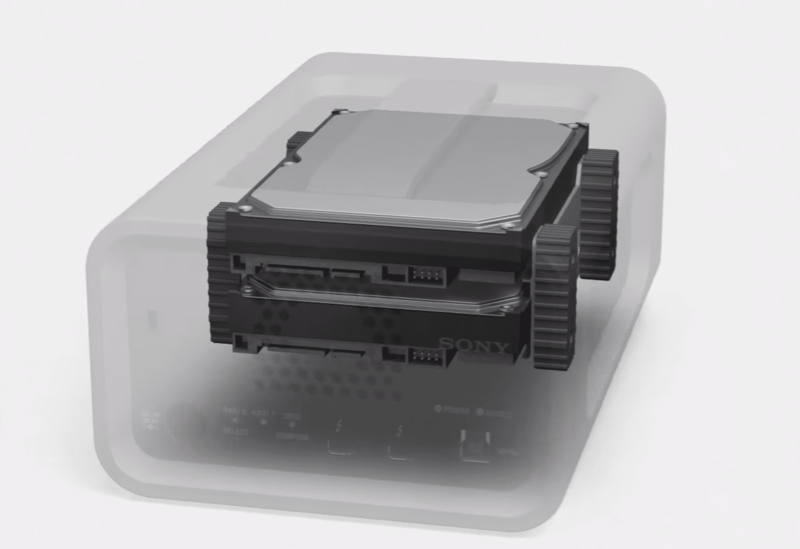 Sony’s PSZ-RA portable rugged raid drive spans the gap between desktop drives and portable drives. 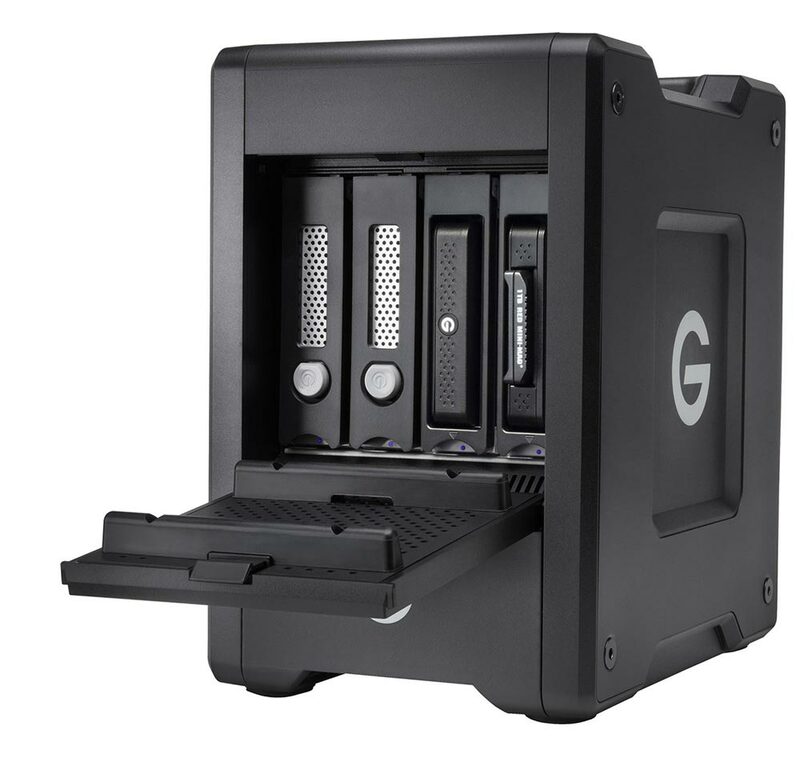 Available in 8TB or 12TB sizes, this is by far the largest capacity rugged drive in the guide, and consequently also the most expensive. Like the LaCie Rugged RAID it can be configured as a RAID0 stripe or as a RAID1 mirror, but unlike the other drives in this guide, the PSZ-RA is not bus powered so you do need to carry a separate power supply with you. 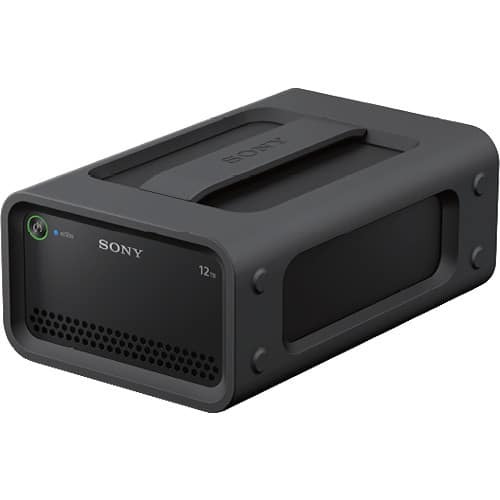 If you’re willing to do that though, what you get is a seriously rugged storage solution that has unsurpassed storage capacity for a portable, rugged drive. The main case is wrapped in a rubber bumper, and as you can see in the diagram below, the drives inside are suspended on a rubber suspension system to isolate them from sudden shocks. The PSZ-RA uses 3.5″ HDDs instead of the smaller 2.5″ ones and the result is a drive that’s physically much bigger than anything else on this list. However, if you need to carry huge amounts of 4K video around with you, or perhaps transport your entire photo archive from place to place, this drive is a great option. The Buffalo MiniStation Extreme NFC is a great rugged drive solution for photographers that want to easily encrypt their data. Perhaps you have been photographing sensitive industrial secrets, or maybe your business is in something like boudoir photography, where your client’s privacy is of the utmost importance. If that’s the case, the Extreme NFC has a very cool trick up its sleeve! The drive is equipped with NFC (near field communications), similar to that which is found in your phone for making mobile payments. Each drive also ships with a dedicated key card, and when you wave the card over the drive it instantly engages 256-bit AES hardware encryption to protect your data. Without the lock key, nobody else can access the data on the drive. Clever stuff! On top of that the drive has military spec shock resistance, IPX3 water resistance and IPX5 dust resistance. For the price, that’s a great array of features! The Storejet 25MC is the best value drive on the list. There have been previous versions of the portable Storejet drive, but the newer 25MC comes equipped with a modern, future-proof USB-C connection and a 1TB capacity for just $62 from B&H Photo. You’d struggle to find a regular 1TB hard drive for that sort of price, but the Storejet 25MC also has a military grade drop rating, a robust external rubber protective system and internal drive suspension. For good reason, the drives in this guide cover a broad spectrum of price points, speeds and capacities. There really should be something to satisfy everyone from the casual hobbyist photographer, right up to professionals that handle enormous data throughput from image intensive workflows and 4k video editing. There’s nothing wrong with any of the drives on the list, but if I was pushed to pick a new rugged drive right now I’d start by looking at LaCie’s extensive lineup – particularly the future-proof USB-C variant that’s currently available in sizes up to a whopping 5TB. It’s no coincidence that this is the exact drive I purchased for my own photography business around the time that I wrote this guide. After over a decade of using LaCie’s rugged drives without issue, it’s a product lineup that I trust and keep coming back to. If your budget stretches a little further, or perhaps you need the additional speed or portability of an SSD, the Sandisk Extreme Portable series is worth serious consideration. 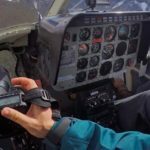 The availability of an ultralight, rugged, palm-sized SSD at these kinds of lower price points is a huge change for this industry. These tiny Sandisk drives are hugely impressive, and with their clever, adaptable USB-C to USB-A cable, they’re ready to work on all computers. Professionals that need faster speeds and also higher drive capacities than are affordably available with SSDs, should consider the LaCie Rugged Raid Pro with its built-in UHS-II SD card reader. With this 4TB drive in RAID0 mode, you get a 2TB volume that’s twice as fast as a regular hard drive, and that can definitely make a difference when working with large image and video files. The fast UHS-II card reader is nice added bonus! If you’re after the absolute toughest portable drive on the market and money is less of an object, take a look at the bomber CalDigit Tuff series with their impressive IP57 rating. They are slightly more expensive than some other equivalently sized drives, but you’re getting what you pay for here. These things feel like you could run them over with a tank, throw them from a plane and then toss them in a river for good measure. 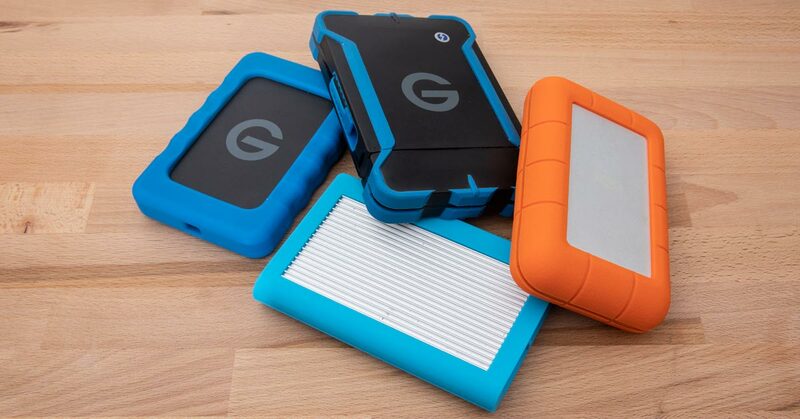 What Rugged Drive Do You Use? I spent a great deal of time testing and researching drives to find what I believe to be the best solutions on the market right now, but it’s always great to hear from other photographers about their experiences. What kind of drive are you using right now? If it’s not a ruggedized drive, are you now thinking of upgrading to something that might offer more protection? Leave us a comment below with your experiences and answers! Could you tell me if the promotion of Think Tank (gift plus free delivery) are available to ship In Québec, Canada ? Hope you back read your articles. I need some storage 101 help.Can you help meas I am a bit unsure about what I need. Scanero: A few weeks ago I was traveling for 5 days in Outback Australia. Conditions are harsh the temperature ranged between 2 and 45 degrees and the sand and dust and trails are rough. Because of baggage limitations and lack of a power source I did not have my laptop (Acer) with me. I was loaded up with batteries and SD cards. My camera does not have a dual slot and I had no method to back my photographs up. Fortunately everything worked and I did not loose any pictures. While away I don’t need to look at or edit my photos. It strikes me that I need an external SSD storage device that has a SD card reader in it. Now how are these drives powered? Are they rechargeable or do I need an external power source. If I needed a battery pack is there a minimum rating I need? How may charges do battery packs do? I suspect that the answer to this is how long is a bit of string. It’s an SSD with a card reader in it, although I have not yet tried this product myself so I can’t pass judgment on its function. Some combination of all these things should keep you going for a long time with no need for a laptop! Thanks for taking the time to write an excellent response. The LaCie DJI Copilot is another option. What strikes me is the cost of some of these items. https://bhpho.to/2Jx3w4q. 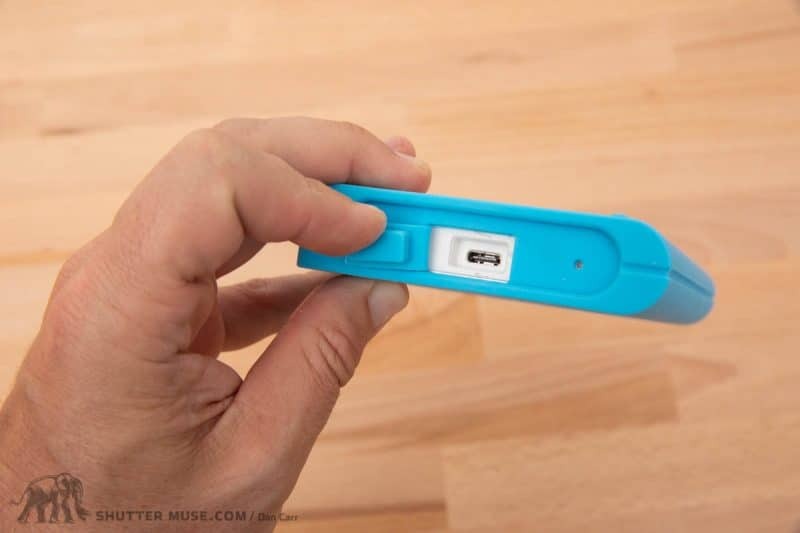 Do you know of anyone who attaches a sim card reader to their cellphone and stores their back up on a micro sd card? It is hardly rugged though. No problem Mark. I actually declined to include the DJI copilot because it has some pretty terrible reviews and it seemed like a waste of my time to test it. The idea is solid enough and it seems to back things up pretty well from a card, by all reports, it is unbearably slow when connected to a computer. So it’s really only good for one thing, which is in-field backup with no laptop. After that, it sounds like it’s pretty awful to use as a regular hard drive, which is how most people would probably use it most of the time. I might consider using it if I was in the jungle for a month with no laptop, but it sounds to me like it has a very specific use case and that’s all it’s good for.